So, - We have central air conditioning unit question? I lists some of the question; I believe we’ll ask ourselves … yes, I’m Professor Xavier. If I miss THE MOST WANTED question you have the opportunity to ask. Please, DO NOT repeats the same question. I’m human; I don’t wanna waste time deleting a question. Search the links from old question and continue from there. Question: How much should we pay for specific repair and replace part? Question: Where is my central air conditioner filter? Answers: The air conditioner filters are normally located in return duct grills, in the air handler or somewhere in the indoor furnace unit. This is a return vents, it's on the ceiling or against a wall. Below is the furnace unit, the filter ALWAYS near a blower house (fan) compartment. Its not within the burner, heat exchanger compartment. it could also be on top of furnace, within a slot. Read how to change air conditioner filters. 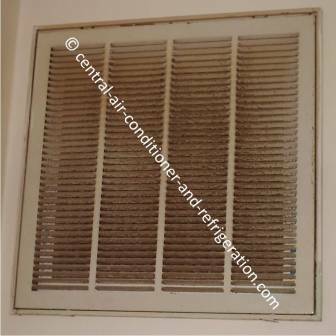 Question: How important to DO regular maintenance on central air conditioning unit? Answers: Let’s put this way. If we don’t maintenance our central air unit, someone will be very happy. Guess, who is happy? Not us. Question: How do I add air conditioner Freon to my central air conditioning units? R22 or 410A or how much FREON for our AC unit? Answers: Can we answer the question above? central air conditioner is not cheap. If we make mistake, I’m sure tech will be happy to clean the mess afterward. We can kill 7 or more thousand dollar equipment if we did it wrong. It's best not to add Freon to our central ac unit without understanding the full detail. 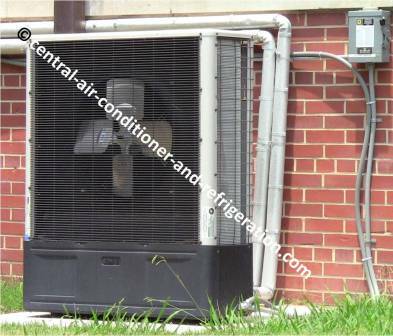 To buy AC Freon, we need to be certified and to add Freon to central air conditioning unit is throwing money away. Question: What size central air conditioner units do I need? 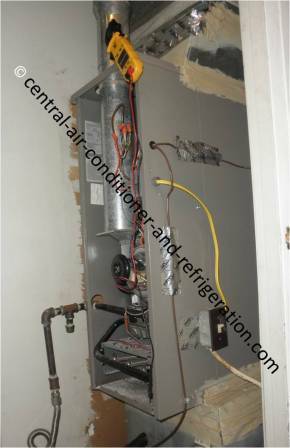 Answers: To have the proper size central ac units. Contractor or you need to do a load calculation. Contractor does the calculation by paper or calculation software. Question: How do I replace my central air conditioner units? Answers: This is one of the top question. I dislike being negative, but I’m positive, we wouldn’t spend two years in school if everyone could replace their own central air units. To replace your central air conditioner units, you need two years of technical school and some more years of experience and you’ll need contractor license or you can just pay contractors. Question: What does air conditioner filter do? Answers: I’m not making this up. This is one of the questions. Ac filter catch all these unseen foreign object fly over our head. It also helps central air conditioning units. Most people don’t know what it is. I had written page on the purpose of HVAC filters. Question: How much does a central air conditioner cost? Answers: I had written estimation for these subjects. This is estimation of how much central ac cost. Question: Where is the central air conditioner coils located? Answers: In split central air conditioner units. The evaporator coils are located indoor with the blower, heat exchanger and expansion device. The location of condenser coils is out door. It’s in square or around shape frame. 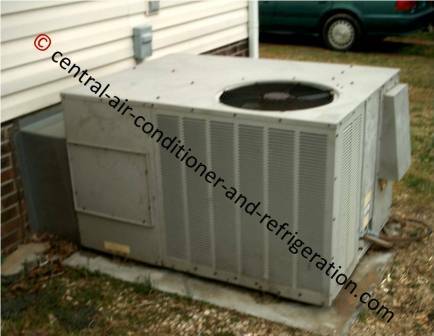 The Ac compressor is within the condenser units. In package central air conditioning units all the parts are outside, and the duct works are inside. Question: How do I replace a thermostat? Answers: I wrote page on how to replace a thermostat. This is just general information. Each air conditioner thermostat is different. It’s best to follow the Ac thermostat manual. HVAC Made in the USA! Were can I locate the tonage of my air conditioning unit? 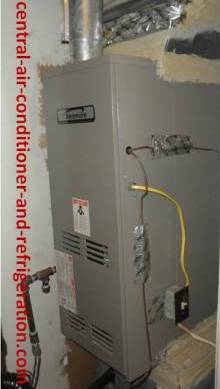 Can you run your heater even though the outside compressor isn't working properly on your central AC/Heater system? Can Pour Some Water In Outside Ac Unit To Help It Cool The Inside? Can a maintenance mistake cause freon to leak from unit? Should I upgrade to a Variable Speed fan on my std HVAC unit? How do I find out what ton size my outside unit is? if you go to your thermostat and set it to fan on, should the air unit outside be turning on at all? Why Won't Our House Stay Cool?